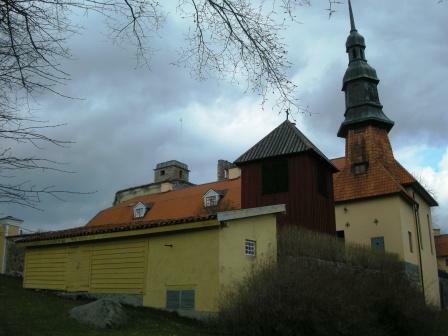 As I searched for some pictures the other day I found some that I would like to share from a trip to Västergötland 2005. 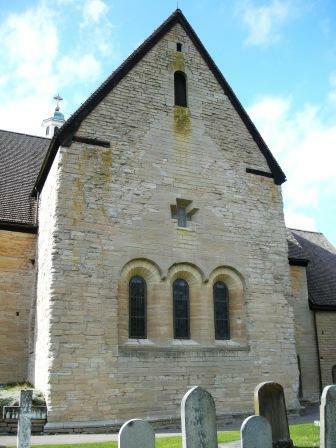 Stop number one was at Levene church that according to ledged is from the 11th century though it has been added to and rebuilt several times, mainly during the 17th century. 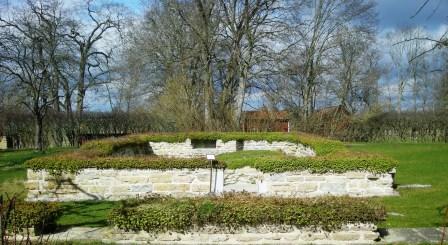 It is said that the jarl Håkan Röde (Hakan the red) is buried here; he was presumably born ca 1045 AD and died in 1079 AD. 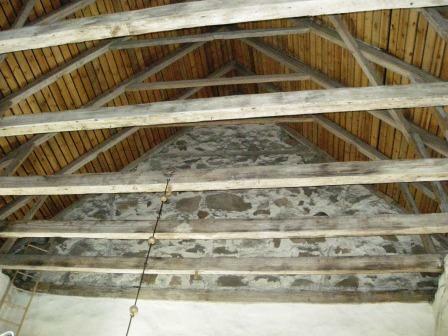 It is also said that he had the church built or moved to Levene. Silly enough I didn’t take any notes on this head stone; I do believe that it is a medieval, or possibly from the 16th century, grave-stone that has originally been part of the floor inside the church before being walled in. Anyhow it’s gorgeous! 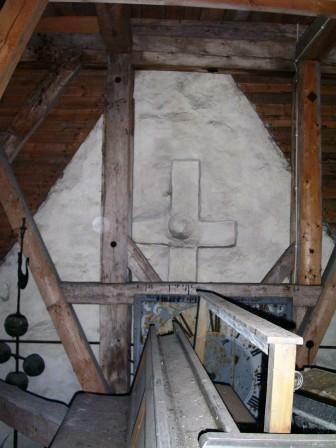 Above the entrance there is a mark after a cross that has been incorporated in to the wall, though it could aIso be part of some construction detail to let something else hang on the that wall. As always when one comes upon something new, or rather something that one has not seen before, curiosity awakens. 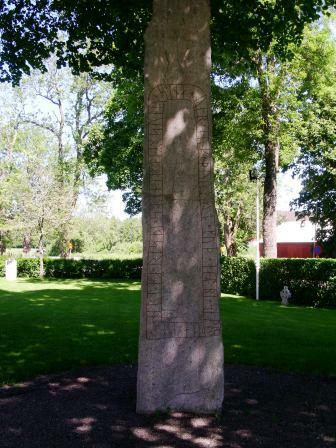 Outside of the church stands Sweden’s highest rune stone (Vg 117), 4,6 meters in height. 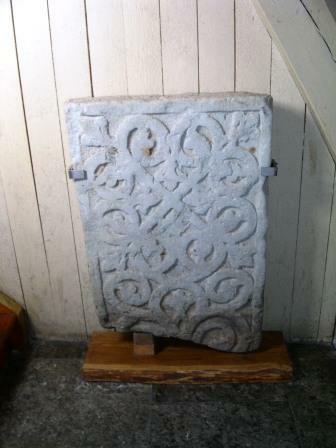 It was found in two pieces during a renovation in 1927-28 walled in at the both sides of the main gate. 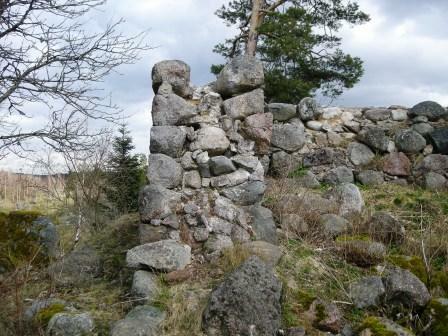 The ruin of the castle Brahehus is situated by the highway E4 some miles north of Gränna. Its demise is accentuated by the modernity that has been allowed to overtake the area rather than be integrated in the ruin site. The ruin feels out of place when seen from the rest stop, where the highway and the modern structures seem to surpass the ruin. The pathway to the ruin runs under the highway and seems to further suppress it; one almost feels like walking the path of the doomed to face the ruins of yesterday. The highway seems to diminish Brahehus. 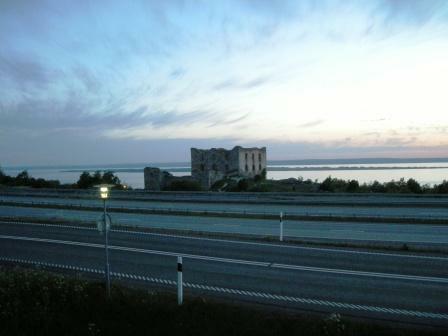 Brahehus seen from the reststop. 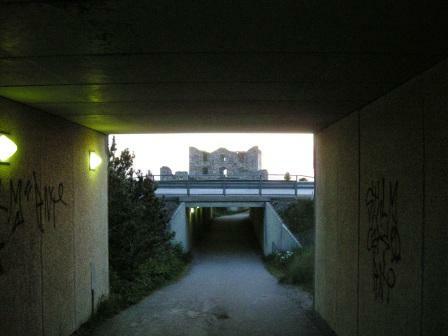 The pathway under the highway that leads to Brahehus. 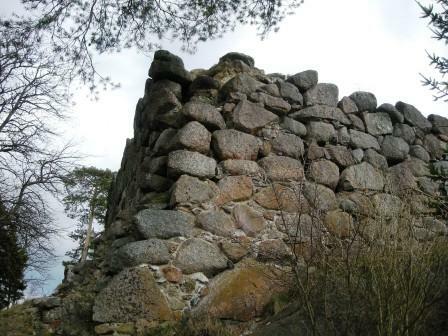 But all that ends as soon as one comes up to the ruin and sees the grand view over lake Vättern, Gränna and the island Visingsö. 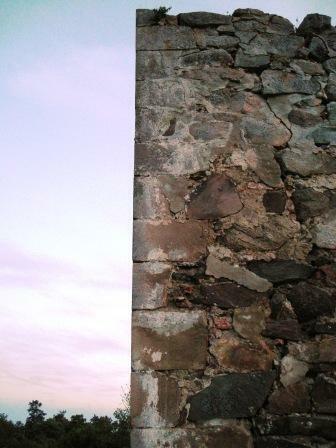 At this time the ruin or castle is the centre and the highway is but a parenthesis in my subconscious. One can feel how right the castle was placed in the landscape. 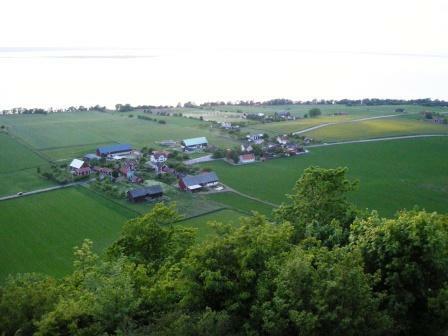 The view from one of the window frames, down below is the bank between Gränna and Uppgränna outside which one sees lake Vättern and the island Visingsö. 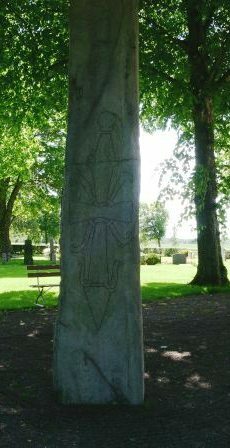 View over Uppgränna, in Uppgränna stands a beautiful rune stone. 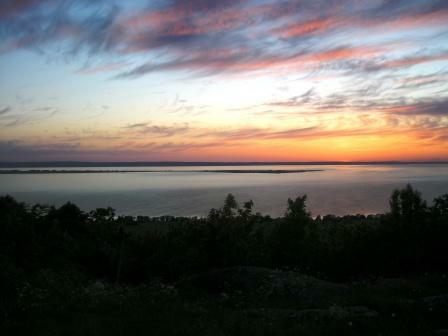 View over the middle and south part of the island Visingsö. 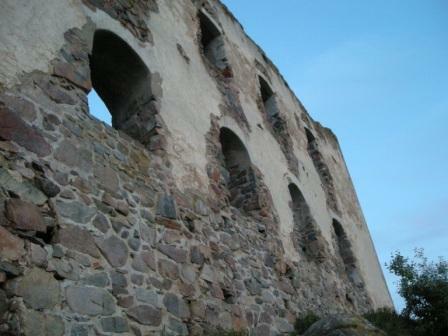 Brahehus was built for the high chancellor count Per Brahe the younger in the mid 17th century. It was intended as a country retreat but became the dower house for his wife Kristina Katarina Stenbock, though she died before it was finished. 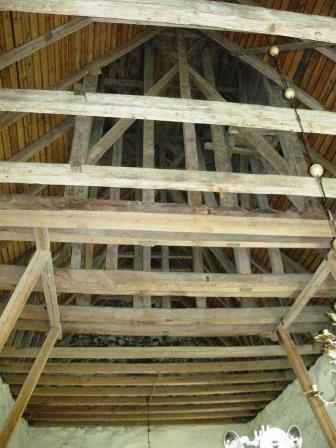 The building process started in 1638 and wasn’t finished until the mid 1650’s. 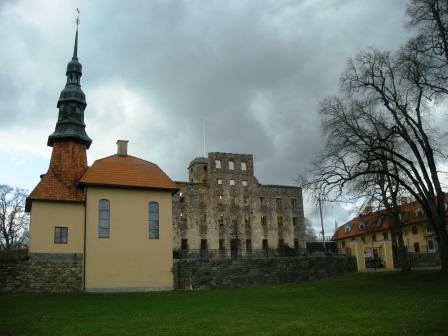 It was inspired by the medieval castles in Germany, regarding the location. 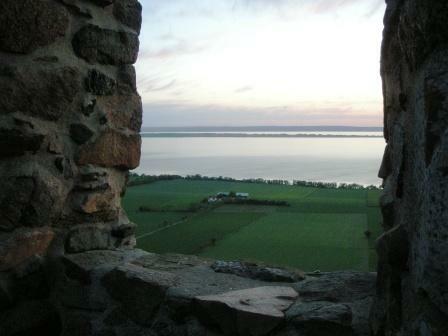 From this point one could see the other two castles that made up the Brahe castle triangle; Västanå castle (today the home of a golf course) and Visingsö castle (another ruin one can visit on the island Visingsö). As Per Brahes wife died the castle was used more or less as tourist complex, and for parties. 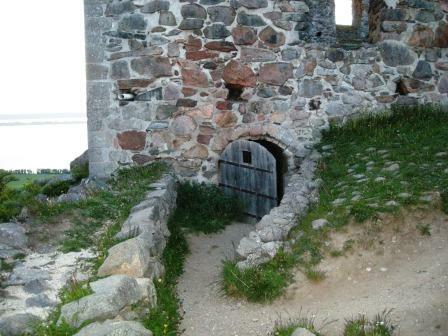 It is said that there has been several houses made out of wood around the castle, among others there might have been an inn and stables. 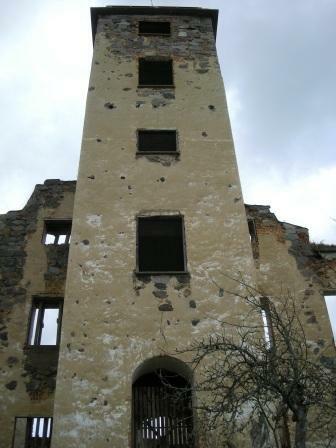 It was destroyed in a fire 1708 and was left to decay, several renovations has been made since the beginning of the 20th century. 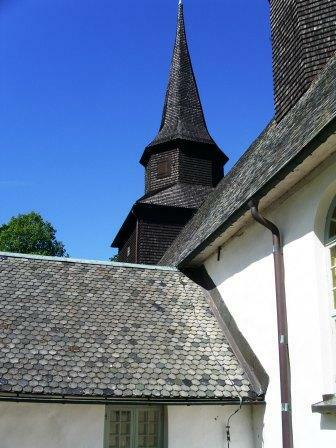 I’ve been to Brahehus on several occasions, as a child and fourth, but you always learn or seen something new when you visit a place. 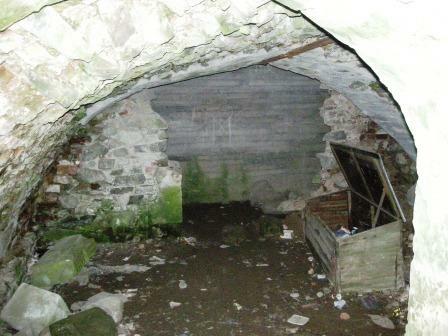 This time I took a closer look at one of the cellars. Behind the door a small cellar opens up, but as you can see the farther wall does not seem to have a 17th century origin. This makes me curious, do the cellar continue onwards, that’s my belief. So now I feel a need to read up the castle and see if I can find out anything more about the cellar. 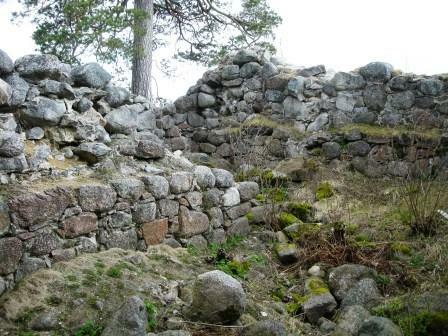 I also got interested if there are any archaeological evidence of the possible houses built outside of the castle or if anyone has made any research about it (mayhap one could try to make a project out of it???). It is a stop one shouldn’t miss! 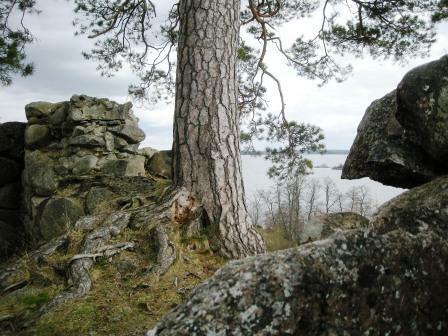 Besides the ruins of Vreta cloister there are a lot of other interesting ruins to been seen around and near lake Roxen in Östergötland. 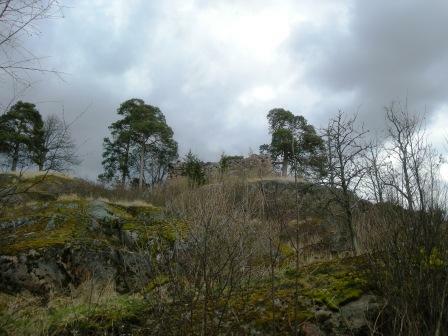 During our trip a few weeks ago we visited two ruins; Stjäntorp castle and the castle ruin of Ål (Eel) and a small grave field. 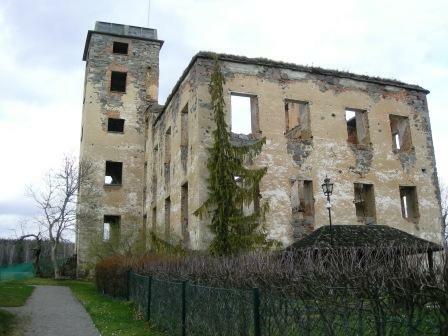 Stjärnorp castle was built between 1655-1662 by Nicodemus Tessin the elder for Field Marshal Robert Douglas. 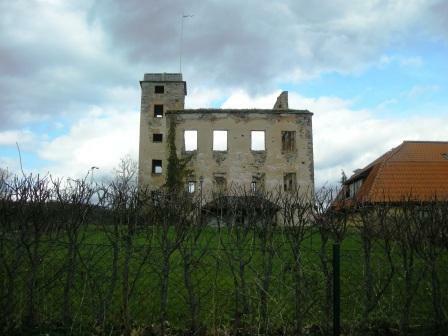 A fire in 1789 destroyed much of the castle. 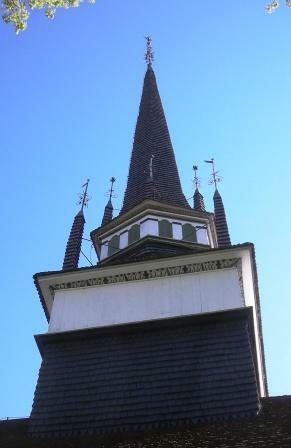 The chapel was renovated and turned into a church and the wings were restored, obviously the main building wasn’t. Just outside the castle is a 3 km long ravine. There are tracks for hiking in the ravine though we didn’t have time to explore it. This is a nice scenic spot that holds several interesting elements, the castle wings, the church, the ruin and the ravine. The ravine and the park that surrounds the castle is open to the public and if I understood it right so is the church, at least on Sundays. 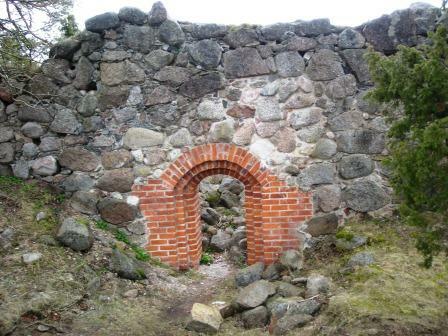 The castle ruin of Ål (Vånga 3:1) in Vånga parish is from the middle ages, from the 15th century or maybe older. 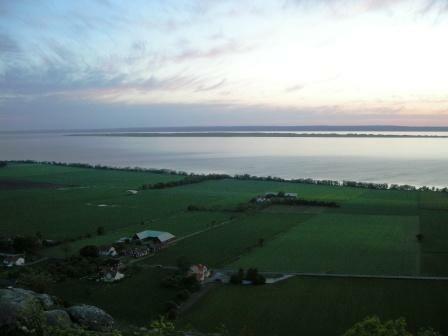 It is situated on a small rock with a great view over lake Roxen. 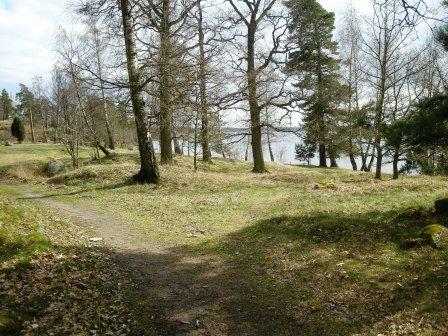 On the pathway to the castle one walks just next to a small and beautiful grave field (Vånga 9:1) from the Iron Age. Inside the castle ruin one can see part the room distribution, and at what levels the floors have been at, as seen on the two pictures above. 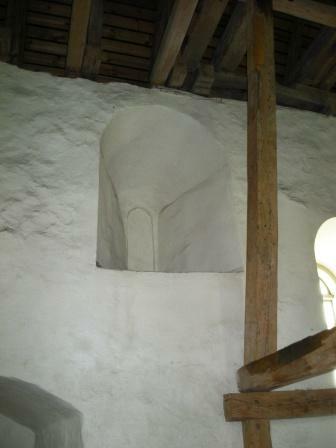 Picture taken in the north chamber and of the northwest view. 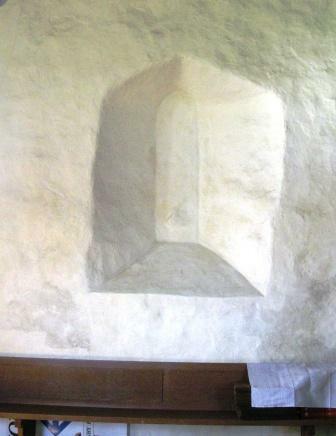 Part of the wall where one can study how it is constructed. 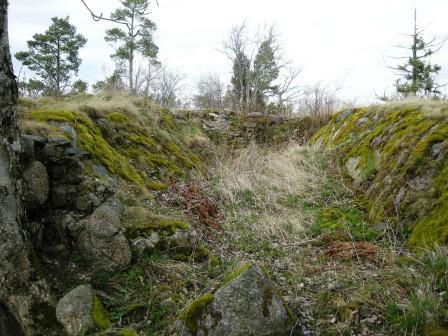 Part of a construction outside to the east of the main building, maybe a wing or the celler to a farm buliding. If this is a ruin after a castle or not can be discussed, I believe a term such as a fortified manor or farmstead is a better one. 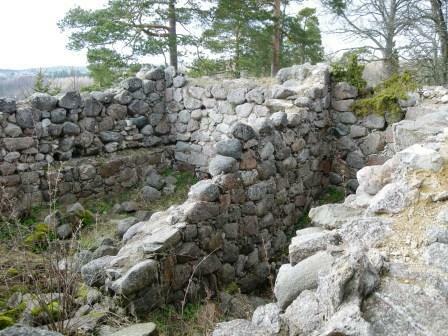 This is a beautiful ruin situated in a beautiful landscape that I feel is well worth a visit. Besides the ruin there a few extra perks; the grave field, oddly enough there is no information sign at the site. 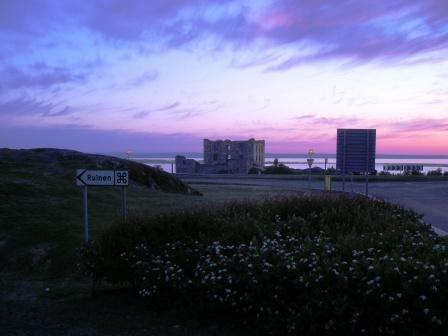 It is placed near the waterside just a few hundred meters from the small parking lot. 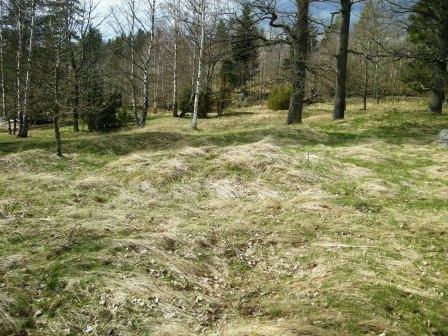 According to the NHB (RAÄ) this grave field is ca 70 x 60 meters big and holds 26 visible construction, three mounds, 21 round stone settings and one stone circle. 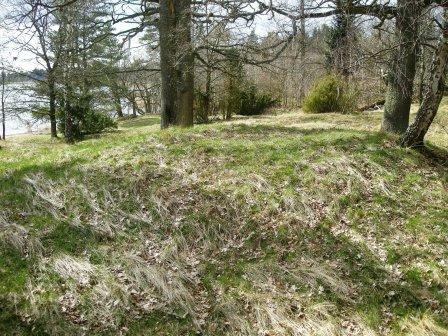 On of the three mounds, in the middle is a small crater. The crate is probably not due to plundering but the result of a collapsed construction in the middle of the mound. 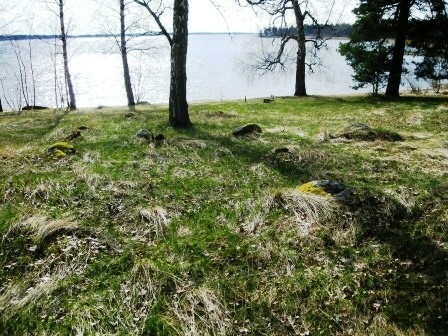 The grave field seen from northeast. The grave field seem from the northwest. The pathway to the castle ruins runs on the edge and partly through the gravefield which has caused some damage to a couple of the graves. 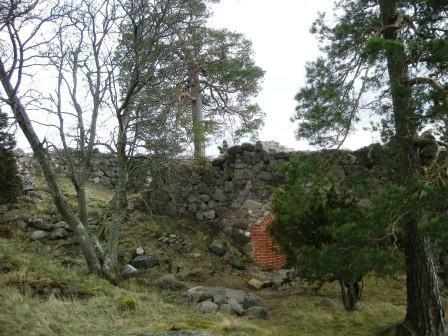 As we visited the site I hadn’t really studied the area which made me miss the fact that there is yet another grave field just a few hundred meters south of the ruin (Vånga 10:1). 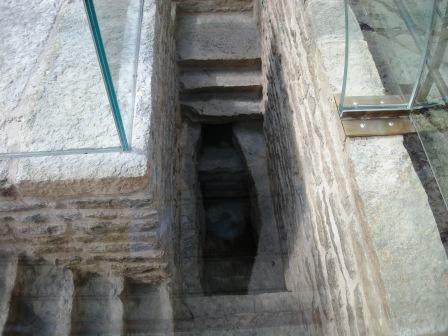 This one is a bit smaller and holds 5 graves. One should always come prepared. 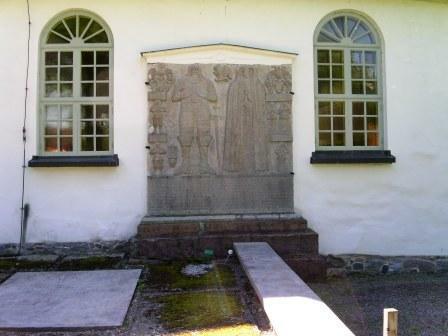 On Friday, may 23rd, Anna Linderholm’s dissertation for the Degree of PHD in Archaeological Science at Stockholm University will be held at 1000 in sal G, Arrheniuslaboratorierna, Svante Arrhenius väg 14-18, Stockholm University. Her doctoral thesis is called; Migration in Prehistory. DNA and stable isotope analyses of Swedish skeletal material. You can read the abstract here. I haven’t read the thesis, yet, though I have been to a few lectures of hers. Most recently at the Osteological Associations symposium (see here) and I do believe the thesis will be an interesting read. Unforttunally I will not be able to attend her dissertation but I wish her all the luck (though I know she does not need it). Is Jurassic Park becoming reality? For the first time scientists has been able to study restoration of extinct non-coding DNA and examination of its function in vivo (experimentation done in or on the living tissue of a whole, living organism). In other words ancient DNA from an extinct spice has come alive. This is described in the article Resurrection of DNA Function In Vivo from an Extinct Genome written by Andrew J. Pask, Richard R. Behringer and Marilyn B. Renfree, published at Plosone they have successfully been able to resurrect a genome of an extinct marsupial, the Tasmanian tiger (Thylacinus cynocephalus or thylacine), obtained from 100 year-old ethanol-fixed tissues from museum collections, in a mice. By using a transgenic approach, they managed to resurrect the DNA function in a transgenic mouse. As I understand it a transgenic animal is one that carries a foreign gene that has been deliberately inserted into its genome, more information on transgenic animals can be found here. The authors write that the information available in ancient DNA that can be used to understand how genomes have evolved and to determine the genetic features that defined a particular species. Though they state that the precise function of an extinct gene is impossible to determine without examining every part of the pathway in one system therefore the results from extinct DNA analyses should be interpreted cautiously. I find these kinds of studies interesting, and the article in it self is well worth the time. Though I think most of these studies would be even better and more interesting if they also had a humanistic approach regarding purpose and problems. 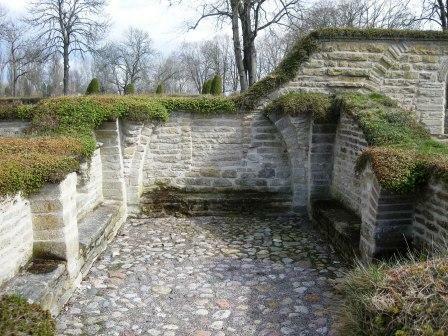 About a week ago I was in Östergötland while there I visited the cloister ruins of Vreta kloster. 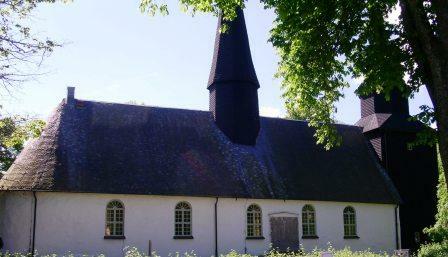 Vreta cloister was founded in the ca 1110 as a Benedictine nunnery by King Inge the younger and his queen Helena. 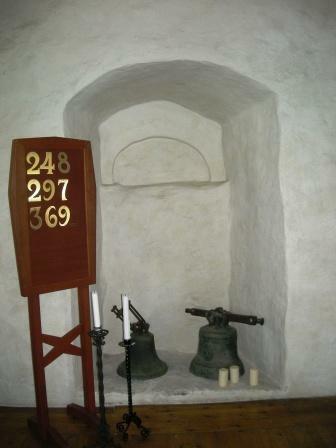 It is the oldest nunnery in Sweden. 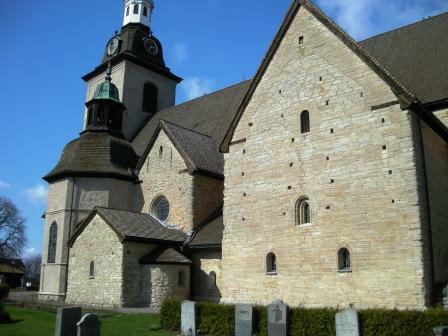 In 1162 it was converted into a Cistercian nunnery. 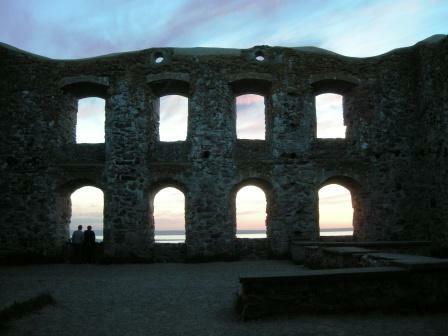 The ruins and the church give us a chance to revisit the middle ages. Unfortunately the church and the museum were closed when I visited it so there are no indoor pictures from the church or pictures from the museum. 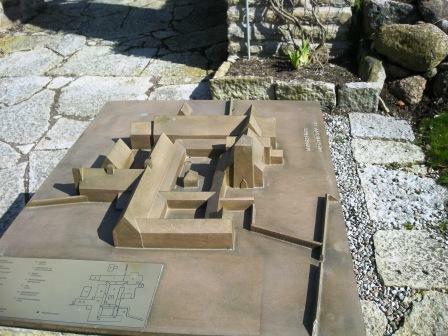 A reconstruction of how the area might have looked at its prime. 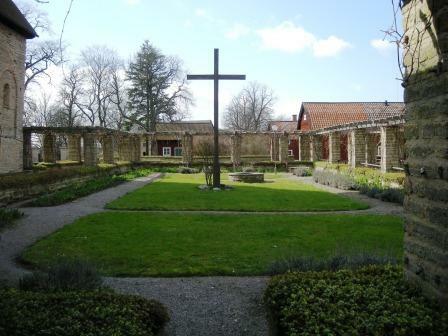 The cloister was excavated between 1916-1926 and the church was renovated between 1914-1917. 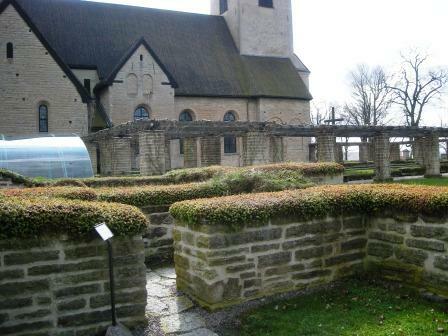 Her are some pictures of the cloister ruins and the church. On part of the oldest wall one can se traces of a building style called “Opus Spicatum” a way of laying bricks in a pattern often referred to as looking like herringbones. This part of the wall might be as old as the 11th century and is part of a wall surrounding the oldest church at this spot. 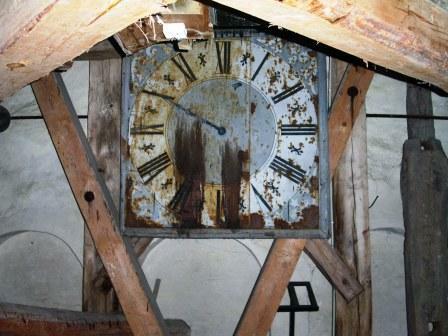 The cloister church has gone through many phases, it has grown and been added on, as there is no plaster on the building one can identify several of these changes. I recommend a visit; it is a beautiful and interesting place well worth a detour. The last few days I’ve tried to update my PhD application, this time it’s Uppsala University who has a spot open. As I have had my head filled with other projects as well as my day time job I am not sure if it gotten it any clearer or better than my last one, though I would like to hope so. Anywho it’s away! 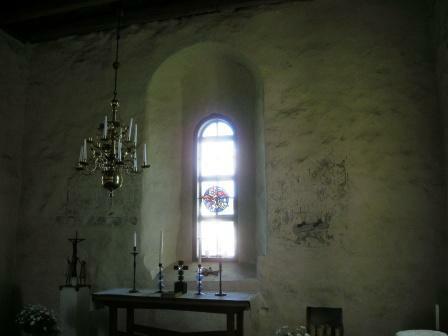 Brunneby medieval church is a beautiful little church that does not seems to be medieval at a first glance. 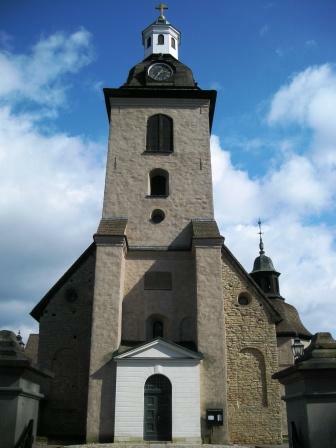 The church was erected in the 14th century and abandoned in 1826 and restored in the end of the 1970’s. 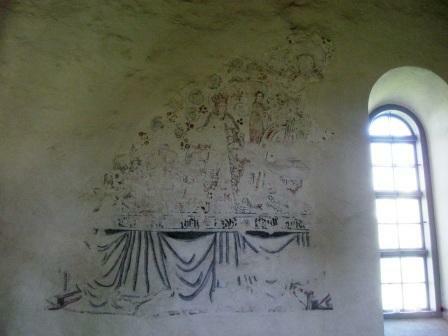 …and parts of the medieval paintings on the west and north walls. An interesting thing is that the roof stole is open, which I for one think is a treat. 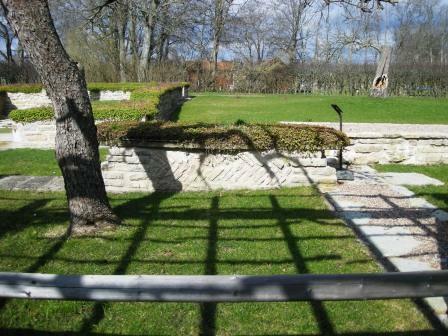 The environment surrounding the church is a bit unusual, one feels almost as one is stepping into a garden of sorts rather than a churchyard as the church is situated within Brunneby manor that also holds Brunneby Musteri (a place that makes must, juices, marmalades etc), see here (Swedish link). 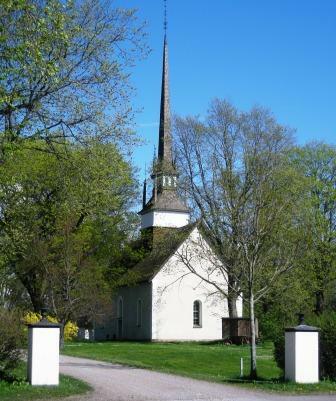 A very nice little church in a nice environment! 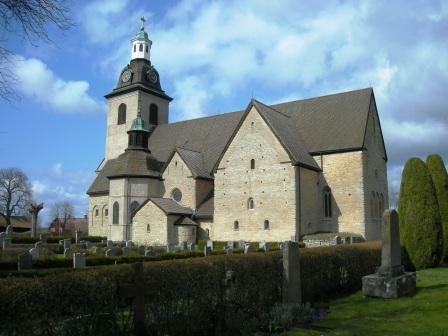 By the way Brunneby church, manor and musteri is situated in the province of Östergötland by the canal Göta kanal. 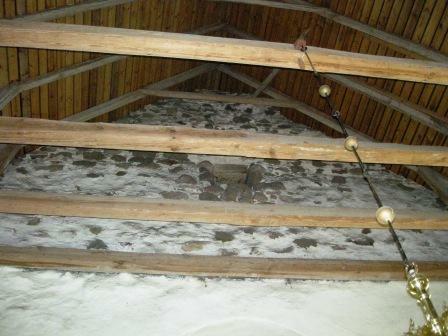 Originally this post was intend for the Four Stone hearth blog carnival # 40 (that went on-line may 7th) at Remote central, though due to lack of time the post wasn’t published until today. Check out the carnival though cause’ there are a lot of interesting links to various blogs on archaeology, anthropology etc, etc. Testimony has been a little low on posts recently due to a harsh workload at the moment, no worries though I have a few posts coming up next week.